Beaded bracelet stacks around the wrist approximately 6 times. Stacking X 6. 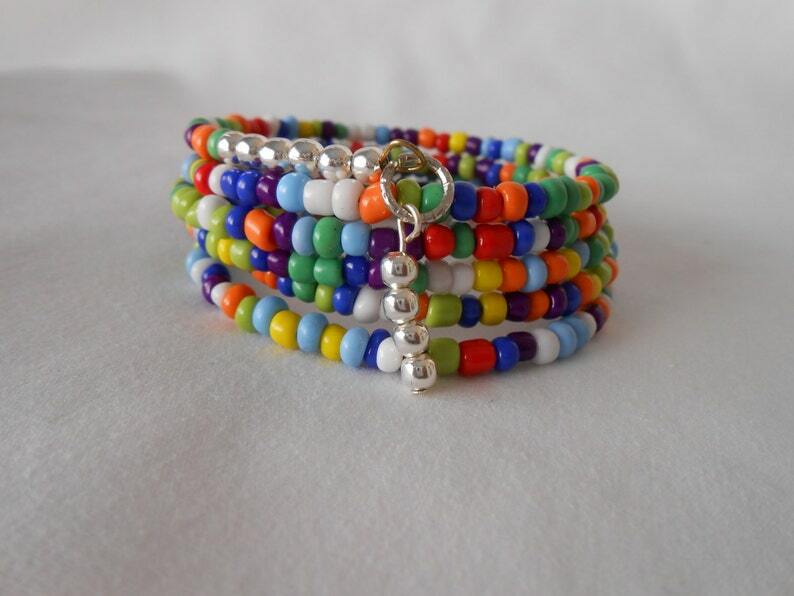 Primary color seed beads strung on memory wire, the coils retains its bracelet shape, one size fits most.